Indonesia is a unique, beautiful, country made up of an amazing 17,000 islands that spread across 5,000 kilometers of ocean, dividing the Pacific and Indian oceans at the equator between Asia and Australia. Within this stretch of land and sea are verdant rice terraces, dramatic mountains, white sand dazzling beaches and deep azure seas. Indonesia also has magnificent rain forests and landscape. The country is home to nearly 240 million people from 300 distinct ethnic groups. 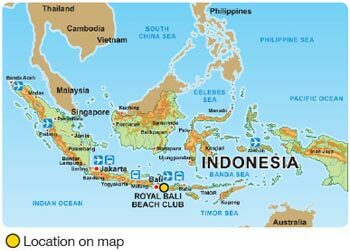 Indonesia also has a strong European influence because of its links to Europe through international trade. This picturesque destination provides not only the perfect, relaxing, beach holiday, it is also steeped in history and culture. Bali is, by far, the jewel. The climate is definitely tropical. There is no Autumn or Winter and distinctive "dry" and "wet" seasons share the year. 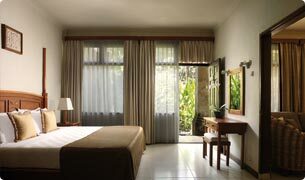 Heritage Resorts are in the perfect positions to ensure that you experience the best of Indonesia. 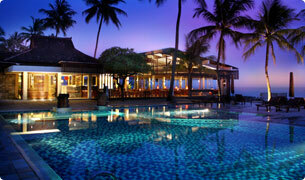 90 minutes from the hustle and bustle, Rama Candidasa Resort & Spa is a sanctuary of serenity. 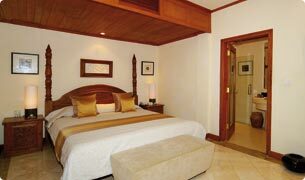 Situated at Candidasa, a small fishing village, the hotel with its flower-filled Balinese gardens offers hotel units, studios and one bedroom units with artistic Balinese décor in modern facilities. All units have their own private balcony for guests to enjoy sights of lush tropical gardens or a view of the ocean. You can enjoy the resort’s private beach, immense swimming pool or simply relax on one of the seafront gazebos, or wine and dine at Garpu Restaurant- an ocean front gastronomical extravaganza serving international cuisines. On the other hand if you would like to try your hand at Balinese Cuisine there are cooking classes being offered. The morning yoga class is a wonderful way to start the day or perhaps morning walks through the rice paddies. For water sports enthusiasts, there are a full range of activities available from snorkeling, diving, fishing, submarine, or boating nearby. 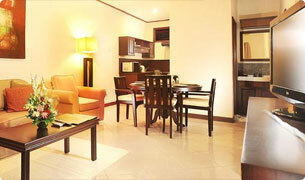 Ivory Resort & Spa is your Boutique Resort. 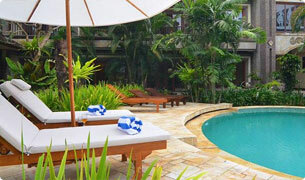 Located in Seminyak – a totally a remarkable place to be. Not only is it home to the trendiest boutiques, but it is home to the trendiest bar and international award winning restaurants. 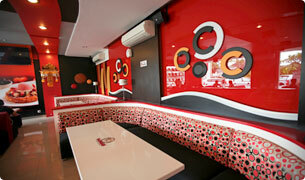 Seminyak is Bali’s upscale destination for those "in the know". Ivory Resort & Spa has an array of wonderful accommodations from hotel units to family rooms, all the way up to Pool Villas. It is a must to try Ivory Spa where traditional Balinese treatments are available as well as anti aging aesthetic treatments (available by appointment). 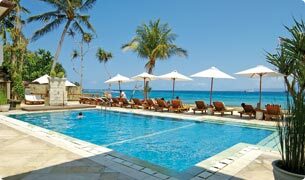 Located on Balina beach on the outskirts of Candidasa, the Royal Bali Beach Club is an exclusive Private Member's Club. The ambiance is uniquely Balinese with traditional architecture and stone carvings of ancient Gods, which adorn the surroundings. A combination of beautifully furnished studio, one and two bedroom apartments surround lush gardens, the pool and outdoor Jacuzzi lead directly onto the beach. 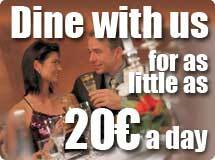 The international restaurant caters for all tastes and regular entertainment evenings are staged. There is a comprehensive excursion programme giving guests a combination of relaxation and adventure. Diving, snorkeling and fishing are extremely popular activities here. The picturesque hills behind the Club provide a variety of lovely walks and if you wish, some hard climbs, whilst the town of Candidasa offers shopping and dining experiences for all. Located adjacent to the beautiful beach of Jimbaran Bay, the Royal Bali Beach Club offers an exclusive and private holiday experience that you will never forget. The resort is, truly, first class with sixteen, luxury, one bedroom apartments, each, fully air conditioned and with private balconies or courtyards. The pool area is breathtakingly beautiful and a pleasant place to relax after a day on the beach, a fun filled shopping trip to nearby Kuta or a day excursion around the island. Also adjacent to the resort is the five star Intercontinental Hotel, and a short walk along the beach is the exclusive Four Seasons Resort and Karma Jimbaran with the famous di Mare Restaurant. 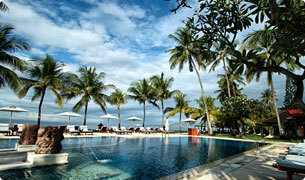 The Royal Bali Beach Club is only ten minutes from Denpasar airport and central to most tourist attractions on Bali. The beaches and golf courses of Nusa Dua and the shopping mecca of Kuta are fifteen minutes away in a taxi, and the boat harbour and Waterbom Park are 25 minutes away. Located in Sanur, Bali's biggest traditional village and one of the most established tourist areas, this newly refurbished property offers access to everything you could hope for. From fine restaurants and modern entertainment, traditional village drama and dance to the Bali Safari Marine Park or the Bali Zoo Park all within a half hour drive there is something for everybody. It is also a great starting point for those of you looking to get out and about to see the island with tours to areas including Kintamani, Lake Batur, Puri Tirta Empul, Bedugul, Botanical Garden and Tanah lot. With a range of Studio, One-Bedroom Combination and Two-Bedroom apartments, a number of which have their own private balconies and or full kitchen facilities, this resort offers something for everybody giving you the opportunity to not only enjoy the delights of staying on a tropical island but also to gain a real appreciation of Balinese culture and local life.